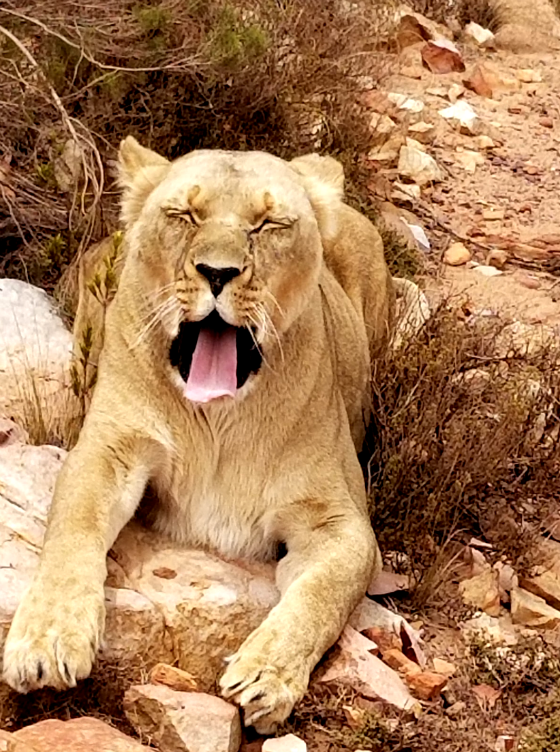 I recently returned from a vacation that took me to 10 countries in Africa and Asia. Over the next few weeks, I will write about some of my observations and lessons learned from such an interesting and educational adventure. For this week, however, it will be a pictorial display of something that was on my bucket list: Going on a safari. 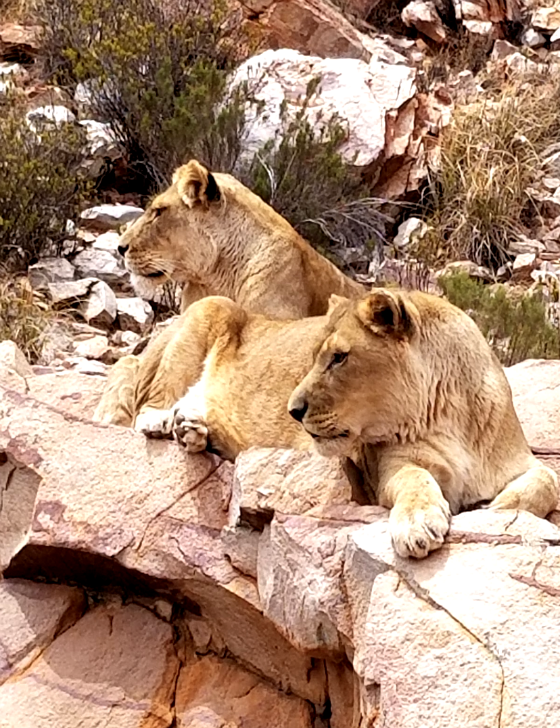 I was able to do three one day safaris. 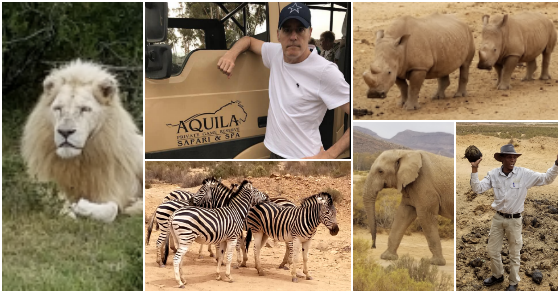 We had the pleasure of doing a safari at the Aquila Game Reserve about two hours from Cape Town as well as the Pumba Game Reserve located in the East London area of South Africa. The third one took place in Tanzania which was particularly good, albeit quite hot outside. 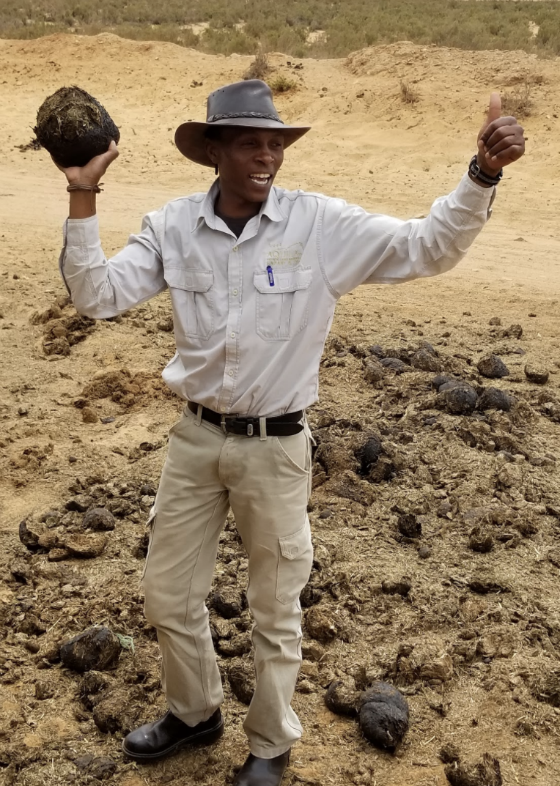 At Aquila, we had a very warm and knowledgeable guide who was not afraid to pick up animal dung and explain how very intelligent rhinos are able to detect from the waste which females are ready for mating. When they find their desired target, they cover up the dung with theirs so other males won’t smell the same scent and then they go find the female and mate with her. Here is our fearless guide proudly taking hold of the dung. 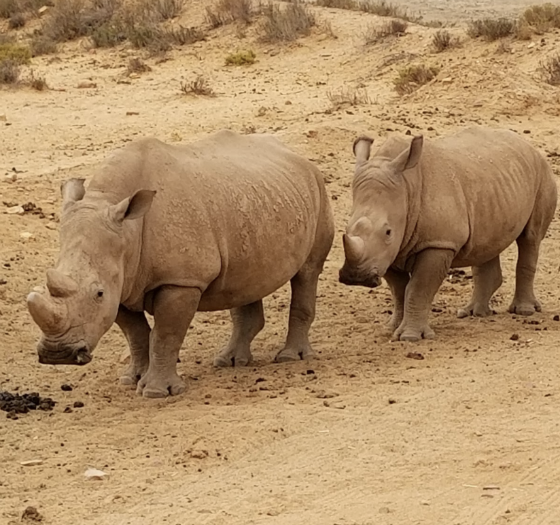 Here are a couple rhinos we saw. 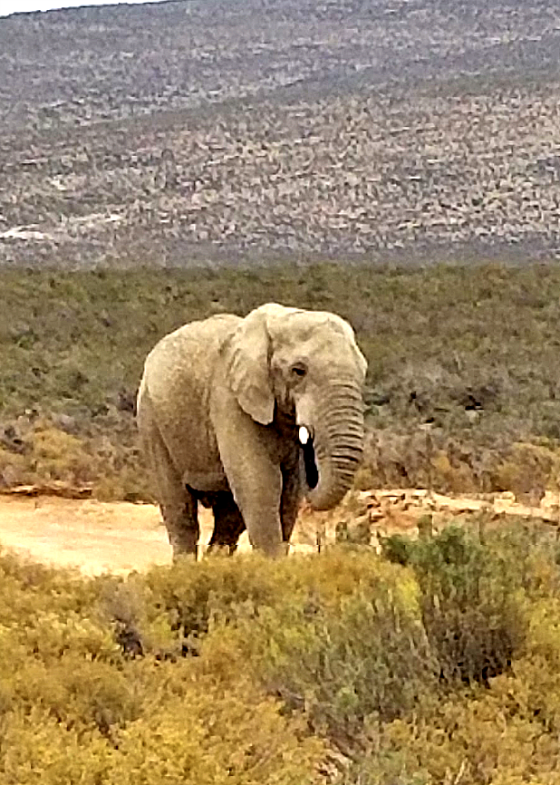 We immediately saw two elephants upon entering the reserve. 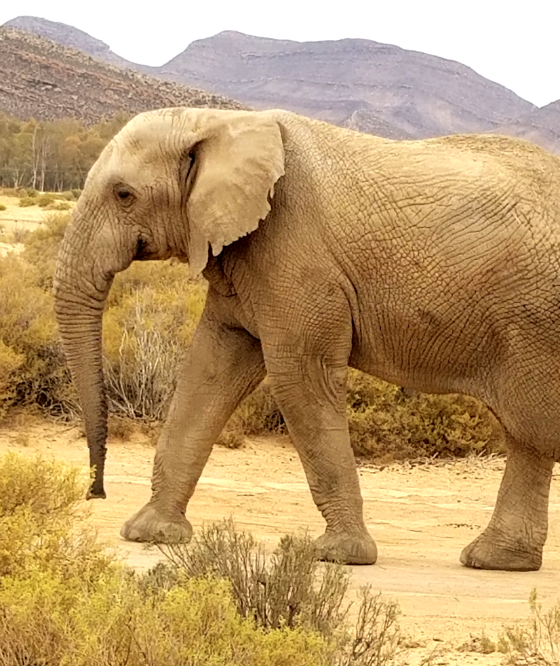 The guide said that despite elephant’s very thick skin they can feel a mosquito biting them. They rarely die of sickness but tend to die from starvation or being hunted. And it is true what they say in terms of them having incredible memories. If you did something harmful to them or tried to, they would remember you 10 years later and be able to pick you out of a crowd. 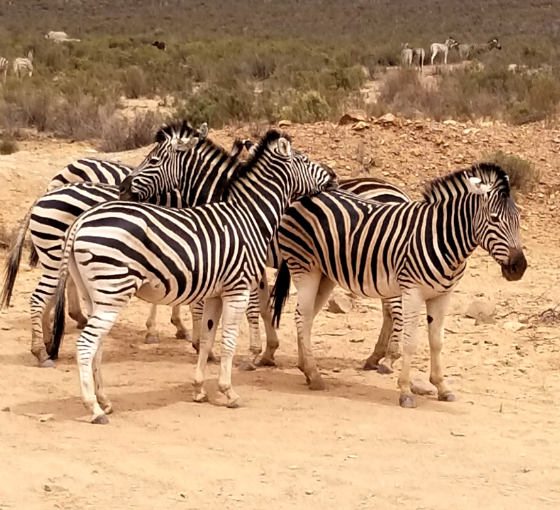 I was surprised at how beautiful zebras were to see up close. I also found it fascinating how they had the ability to be completely still for long periods of time as if they were statues. 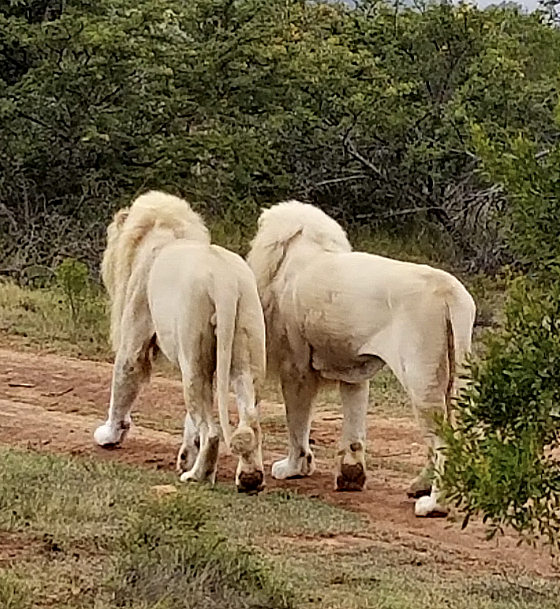 We were fortunate to see lions that day. In this park, they are isolated from the other animals, which is not the case in the other two I visited. We all need our rest. 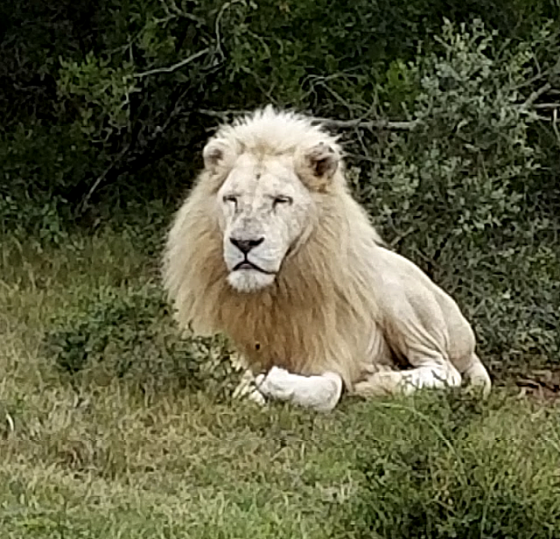 This is a rare white lion which was quite a treat to see. 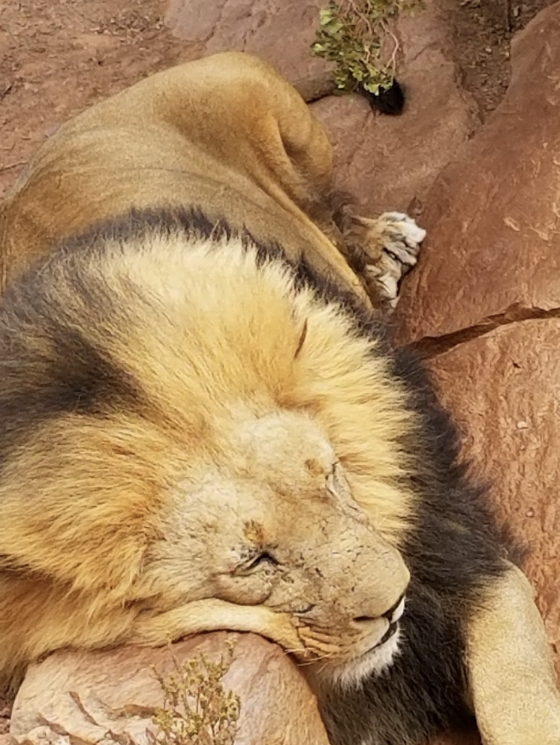 The photo that follows is the same lion with his son. 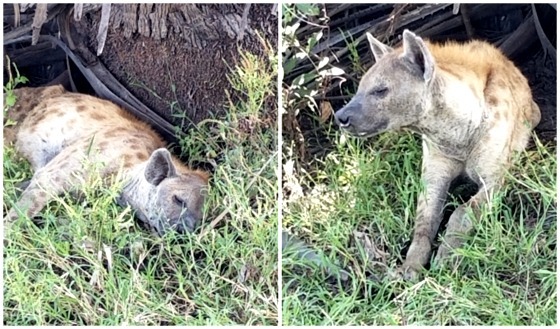 Here is a hyena that was sleeping and woke up suddenly as we were observing him. 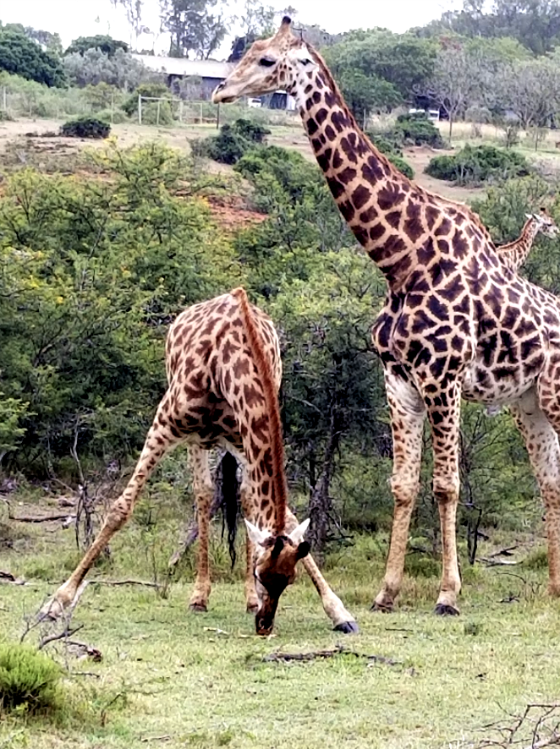 Finally, for you, yoga aficionados, here is Downward Giraffe.